Leicester Courier Services Leicester:: Caddy vans making direct delivery anywhere in Britain, the best courier service of all courier companies in Leicester. Leicester Couriers specialise in fast parcel delivery, our fleet of vans are able to deliver your parcel to its destination in perfect condition and in a timely manner. We are able to collect and deliver all in one vehicle, this reduces loading and unloading so speeding up delivery and reducing the chances of damage. Leicester Couriers have a Fast Collection Response servicing the whole of Leicestershire and beyond, for an express courier service in Leicester call us with your details and weâï¿½ï¿½ll be happy to provide you with a quotation for your collection and delivery. Leicester Couriers provide Nationwide Courier Services, giving you a one-stop-shop for all of your deliveries, wherever your pickup or delivery is, give Leicester Couriers a call, our booking staff would be very pleased to assist you in getting your parcel to its destination. We are 100% confident that we can offer you the best courier service of all courier companies in Leicester. Leicester Couriers provide door to door courier service that is professional and reliable, giving you piece of mind that all your packages are in safe hands and will reach their destination. 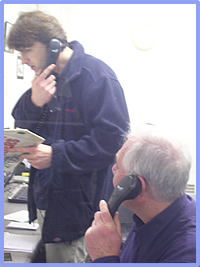 Wherever your pickup or delivery is, give Leicester Couriers a call, our booking staff would be very pleased to assist you in getting your parcel to its destination. We are 100% confident that we can offer you the best courier service of all courier companies in Leicester. 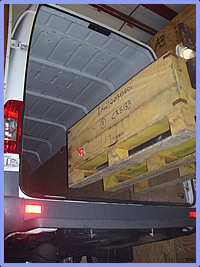 Don't be concerned that you package is too small, it may be important and urgently need to reach its destination today. If that is the case then we have caddy vans waiting to deliver your small packages door to door via our same day delivery service. For an Express Courier Service Leicester call us TODAY!